Subject: Mummy in Chile what is wrong with the GR paper? Would Dr. Greer like to know, from someone knowledgeable in DNA research, what might be wrong with new GR paper by Garry Nolan and colleagues on the small Chilean mummy? 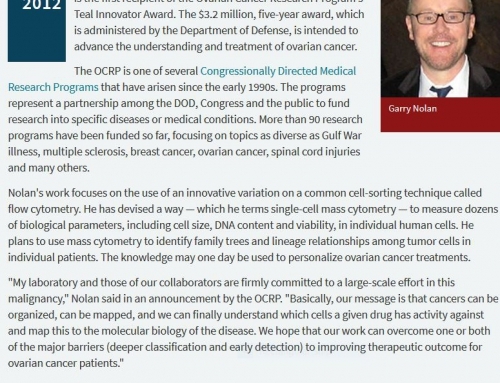 First of all, Dr. Nolan’s story has changed completely, since when we first discussed his early results on 50 Mb of sequencing several years ago. Then he was ecstatic that he had made a big history-making discovery, and we agreed to discuss and analyse those first 50 Mb once he had some free time. This never happened. Despite his strong interest on one day, after that we never heard from him again, and we never got a copy of the first set of sequencing results about which he was very excited, having done some kind of preliminary analysis. Now onto the new paper 2018. 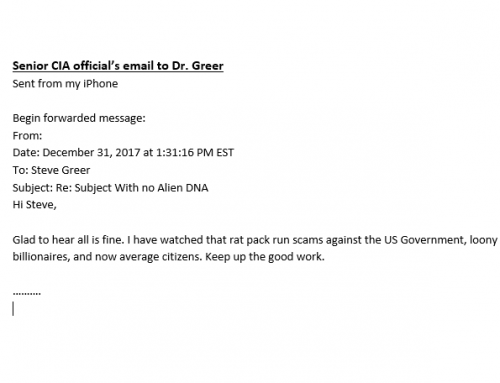 He says he has done whole-genome sequencing on the entire sample, and that 89% of reads match uniquely to certain places in the human genome. I do not know exactly how a modern DNA sample might match, you would have to discuss that with bioinformatics people, but 89% seems a bit low, and suggestive of moderate DNA damage due to age or environmental exposure. His average DNA size is just 300 bp, which strongly suggests a lot of non-specific DNA damage (this is what we get for a modern sample after 10 minutes of intense sonication). He also reports a two-fold excess of C>T transitions near the ends of those 300 bp fragments, again consistent with “moderately damaged DNA”. In summary, we know beyond any reasonable doubt that the DNA sample from that small Chilean mummy was “moderately damaged”, so as to decrease its mean size to just 300 bp, and to induce many C>T transitions near the ends of fragments. This would also mean, beyond any doubt, that “some” C>T oxidative damage mutations will be located within or near the centres of those fragments, at a somewhat lower level. If they were my data, and I did the same analyses, my first conclusion after seeing so many mutations within coding regions, including lots of mutations never seen before in any medical database, would be to think that most or all of such mutations took place after the mummy died, due to 100-500 years of environmental exposure, which seems unavoidable. I would venture to say that the vast majority of molecular biologists would consider that as a primary hypothesis, unless the facts somehow pointed otherwise? Now what Nolan and his colleagues did next was quite surprising, to say the least. They chose to interpret all of those many, extensive mutations within DNA coding regions as genetically significant to the mummy while it was still alive! If it were a fresh, modern undamaged sample, this might be reasonable. However for a sample which has been moderately damaged to the extent described, it is not a plausible hypothesis. Interestingly enough, the spectrum of mutations from chemical exposure to sodium nitrate in model systems (there are no in vivo data) matches closely the spectrum of mutations due to age / environmental damage. Both take place by means of deamination of C or sometimes A bases. So there is no easy way of telling the two effects apart by DNA sequence analysis alone. And there is not a single study of which I know, where exposure to sodium nitrate in vivo causes serious DNA mutations. Nolan cites only one paper of men with heart disease who take Monodur! Sodium nitrate is added to bacon and many other meats as a safe food additive. Thus the factual evidence that sodium nitrate might be “dangerous to pregnant women” is nil. And so a primary hypothesis of “environmental damage after death” seems strongly favoured. Which means that the whole paper is largely an artefact, unless the authors can present some kind of cogent arguments to the contrary, which they have not yet done? It is hard to imagine that this paper passed peer review by experts, and it would be interesting to see what those reviews might have said? 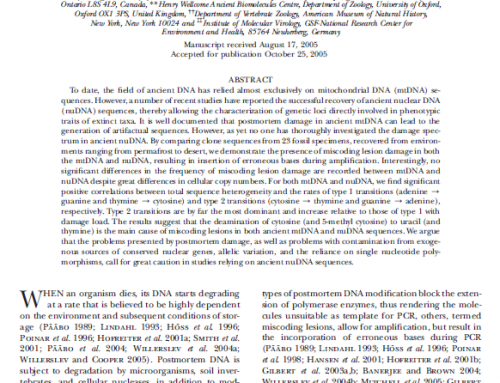 I have attached just one of many literature papers about mutations due to age / oxidative damage in ancient DNA samples. These would seem sufficient to explain most/all of what the new authors report concerning the little mummy from Chile. The authors say “great care is required in interpretation” of the sequence data from ancient DNA for various reasons as described. I can find more papers if needed. >>>My feeling , in order to respond effectively to this new paper, would be to say that “all ancient samples >100 years old have lots of oxidative damage caused by environmental exposure after death”, as noted in 20 different ancient DNA samples studied in the example paper attached. We know that DNA from the small Chilean mummy was moderately damaged in the same way, by its small average size (300 bp), and by finding a twofold excess of C>T mutations near the ends of those fragments (which generally mutate more easily than the centres, because loose ends of a double helix may fray into single strands). How then do we know that standard patterns of age-related mutation after death, in that small Chilean mummy which is 100-500 years old, were not responsible for the vast number of (sometimes novel) mutations which were found, rather than putative mutations which took place in a small fetus while it was still alive? Due hypothetically to “sodium nitrate exposure”, which has never been shown to lead to serious mutations except in laboratory model systems, and is a safe food additive eaten commonly by pregnant women today, in bacon or other meats? In other words, we have one very-well documented kind of mutation (after death in ancient samples) which could explain most/all of their results nicely, whereas they postulate an entirely new mechanism (nitrate exposure during life) which has never been seen before except in some laboratory models, and has no other factual support whatsoever. Which interpretation seems the most plausible? Can they prove in any way that the vast numbers of mutations which they see, are different from those found in all other ancient DNA samples? The two spectra of mutation are almost identical, it might be noted. ………. their specious and unprecedented arguments, and you can see where the debate leads after that? 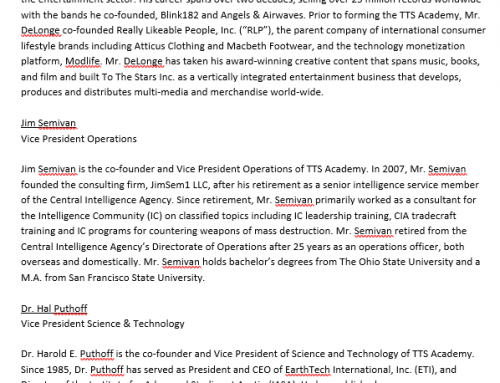 Without having access to their huge original database, we cannot know what is really in it, or how they will respond? All we can go on is what they wrote in a peer-reviewed paper. News articles don’t count….I would not have accepted this paper as a referee, unless they could answer adequately the serious technical and interpretative issues summarized above. 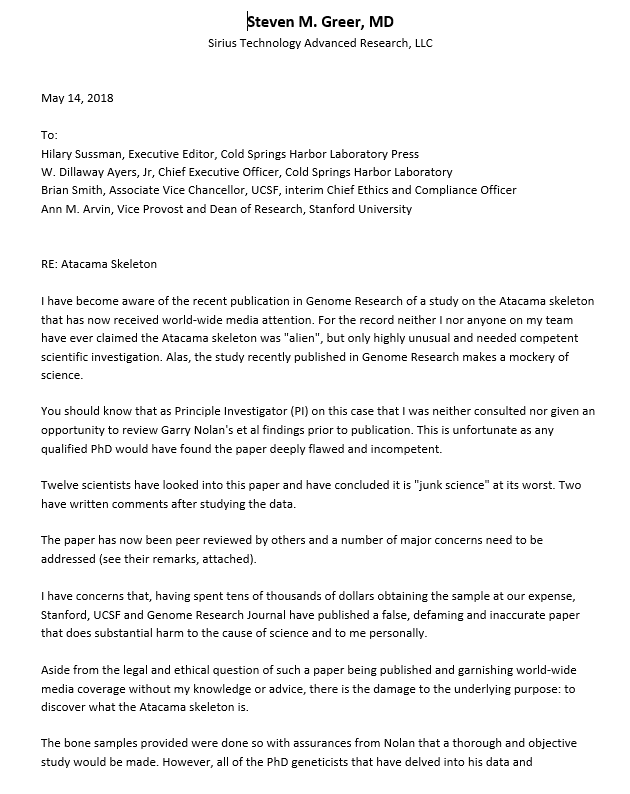 It is never easy to respond to a faulty paper which has already been published. Most people will just assume that it was reviewed and approved for accuracy by the journal. In one quick sentence, the authors need to provide some proof that the many novel mutations which say were responsible for “bone deformities” while the mummy was alive, did not in fact take place in the 100-500 years or so, since the mummy died? Since we see similar mutations in almost all samples of ancient DNA? I am pretty sure that is correct, since a little fetus could not develop to such a late, well-developed stage with 54 separate deleterious mutations in its developmental genes. Some expert at embryology might be able to tell you how early in pregnancy such a highly mutated embryo would abort. Past studies of ancient DNA have generally relied on mitochondrial DNA, where these problems are not as vexing. The current authors are using ancient DNA to study nuclear genes, for which the problem of interpretation seem very serious indeed. Are the base changes which you see real or artefactual? If you look at the paper I sent earlier, you can see in Figure 1 (page 738) that the total sequence heterogeneity of bone DNA kept in a museum for 90 years is 0.3% to 0.5%, or 1 mutation per 200 to 300 bp. That would give 3 to 5 mutations per 1000 bp coding region, consistent with what Nolan and colleagues report. Other studies try to get nuclear DNA from old mummies, but unreliably and with great difficultly. Studies of pregnant women show that taking nitroso drugs can produce birth defects in the first trimester, but not sodium nitrate as found in food. Nolan seems to have taken all of the sequences from that mummy, and selected in a first step just the ones which match “human” (89%). He does not say much about the other 11%. Then he says that his selected human sequences match a Chilean person. Except many genes are highly mutated! Well, it was an old and somewhat damaged sample. A non-expert might not have noticed it, but I am fairly sure that Nolan and colleagues planned a fake analysis right from the beginning. They included lots of random mutations in their sequences by intent, by omitting a standard treatment to remove them. It is still possible that the many novel mutations which they see are real, and due to cross-hybridization with another humanoid species (most are heterozygous on one chromosome only, say just from the father)? 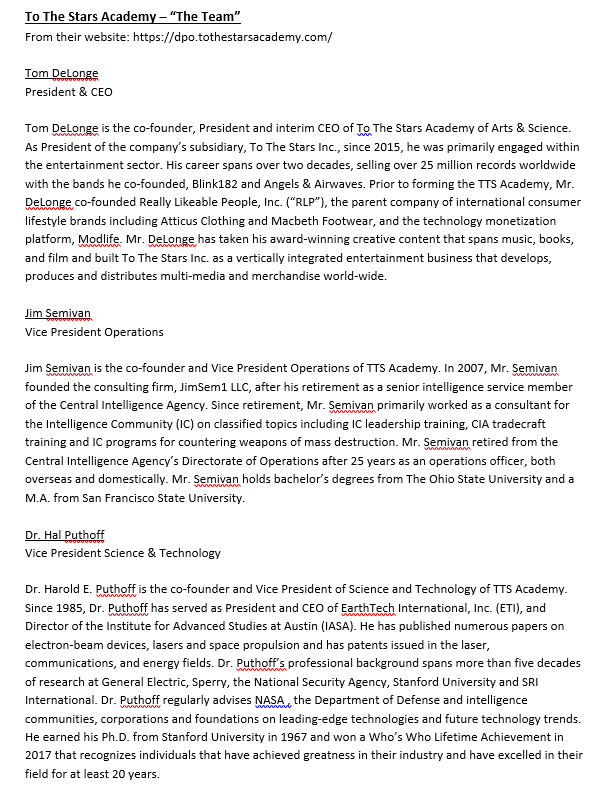 There is no way to tell for sure, because they have not done proper controls, and I do not have easy access to the sequence data plus programs needed to analyse it. Many “novel” mutations were found by PCR and sequencing, within the polymerase-copied DNA sample taken from a small mummy in Chile, that had been exposed to harsh local conditions in the desert there for 100 to 500 years: what might be the cause? The recovery of intact DNA from ancient samples is a subject fraught with technical difficulties. Most bone samples from even 100 years ago may show fragmentation to reduced mean sizes of 100-300 bp, plus oxidative damage to their bases which, if not eliminated from the sample before PCR, may appear as “misread bases” or “novel” genetic mutations in a final sequenced database. The most common kind of damage involves deamination of C cytosine or A adenine bases, which later causes them to be read as U uracil or H hypoxanthine respectively, due to errors in base pairing when a polymerase enzyme copies the damaged base (see for example https://www.mun.ca/biology/scarr/Nitrous_Acid_Mutagenesis.html). One standard method which may be used to reduce the frequency of misread C bases in a final sequenced product is to treat the aged or damaged sample with an enzyme UNG before PCR. Pre-treatment with UNG: remove many C bases deaminated by environmental damage, yet still keep real genetic mutants which formed while the organism was alive. Omit treatment with UNG: keep many C bases deaminated by environmental damage, and also keep real genetic mutants which formed while the organism was alive. This enzyme uracil-N-glycosylase cuts a DNA strand at uracil U bases, and also at deaminated C bases which resemble uracil U (see https://www.ncbi.nlm.nih.gov/pmc/articles/PMC4175022 or https://academic.oup.com/nar/article/29/23/4793/2359260). How damaged by age was the Chilean mummy DNA sample? Could low-level environmental damage be something we need to worry about, especially if we plan to study long nuclear coding regions, and base our bioinformatics strategy around whether single point-mutations are seen in long coding regions of 500 to 2000 bp? Yet fresh undamaged DNA from a modern sample is much longer than that! We can therefore know for sure that its sugar-phosphate chains were seriously damaged by age. In other words, we cannot rely on any sugar-phosphate chain from that mummy sample being intact and undamaged beyond a mean length of 300 bp in double-stranded form. 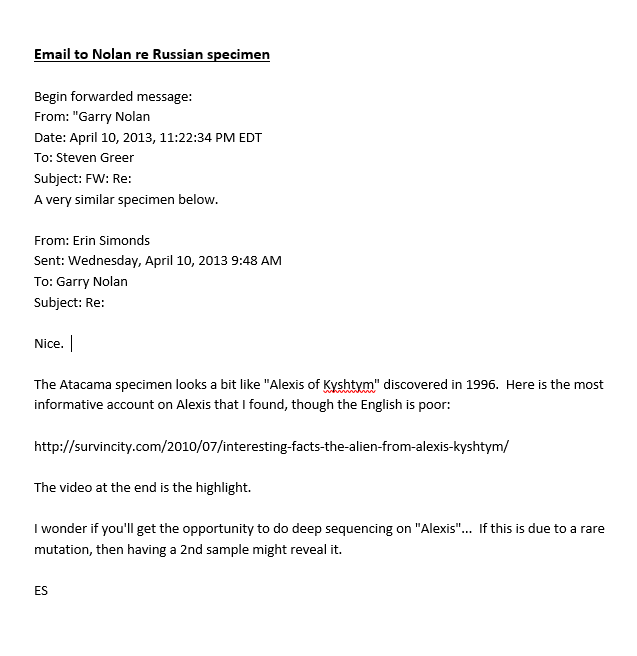 There might also be “nicks” within the single-stranded form of that DNA sample with an even smaller range of sizes (not mentioned in the published paper). In Figure S1, they assess the extent of DNA damage by studying variations in sequence across small sequence-reads of just 101 bp. This method would only detect base-pair errors made during sequencing in vitro, mainly at the two ends of any small 101 bp fragment, due to polymerase misreading there. In other words, this particular method would not be capable of detecting a low level of age-related environmental damage of bases, all across the original mummy DNA fragments of mean size 300 bp. Their final derived sequences were just assumed to be “real” and full of “novel” mutations, even if they were slightly different in sequence from a human consensus. Once again, the mean size of DNA in their moderately-degraded sample was just 300 bp (as a double helix), and it was 100-500 years old. There is no possibility whatsoever that some of its bases did not suffer serious chemical damage after the mummy died, and before its genomic DNA was extracted, perhaps at a low level of 0.1-0.5% as suggested by its reduced DNA lengths? Since they knew that their mummy sample was moderately degraded to a mean length of 300 bp in double-stranded form, and they planned to study long 500-2000 bp nuclear coding-regions later, within which the presence of even one “false mutation” might seriously impair the bioinformatics analysis, why did they choose not to use a standard enzyme UNG, at least as a control, to remove most of the deaminated C bases prior to PCR? This is likewise why studies of nuclear genes from ancient samples have been so problematic. It is easy to make some kind of “evolutionary tree” using sequences which are not quite accurate, without much effect on overall conclusions. Yet if we try to use DNA sequences of less than perfect quality to study long nuclear coding regions, as we might do when studying “fresh modern DNA” from medical patients, the entire exercise becomes fraught with technical difficulties. How do we know that what we are seeing was really there, while the organism was still alive, and not produced as an artefact after the organism died, then laid out in the Chilean desert for 100-500 years? One way to check a single genomic database for accuracy would be to compare its derived sequences to many real mutations of long nuclear genes which we can see, in other much-larger databases of a similar kind, derived from the consensus of thousands of modern, human individuals, Do the specific locations of certain critical “mutations” which we see, for an ancient DNA sample, match the detailed locations of real genetic mutations which have been established through studying modern humans who might have given fresh blood or skin samples? In fact, the investigators of that small Chilean mummy quickly saw lots of “novel” mutations in their final sequenced database, many of which did not match any other known mutations in current large, combined human databases. And so the “alarm bells” should have been ringing in their heads! What is really going on here? Are our DNA sequence data real, or could we have made a subtle mistake? They found many “novel” DNA mutations, to which they ascribed critical and real genetic significances. Such a result is not impossible, but it needs to be checked very carefully, over and over again by a variety of methods and decisive controls, before it can be accepted as “fact”. That is how experimental science should be done. The authors to their credit did “re-sequencing” of certain targeted regions, which was difficult because the mean size of DNA in that mummy sample was only 300 bp (their Table S5). Yet it was all done accordingly to the same methods as used before, and just confirmed that sequences from their whole-genome study were self-consistent and repeatable, rather than confirming that such DNA base changes were made while the mummy was still alive. 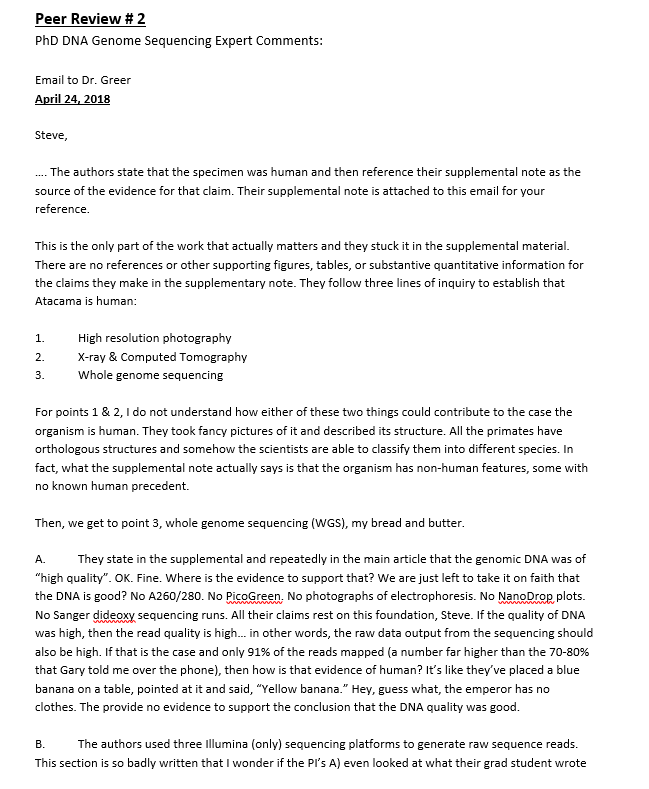 The burden of proof therefore seems to lie on those investigators (or others) to independently reproduce the occurrence of so many “novel” base mutations in the mummy sample (after PCR and sequencing), by repeating the same procedure, except this time using UNG or a similar enzyme, or other established methods to remove deaminated C bases (or other lesions) beforehand, then ask whether so many “novel” mutations still appear after sequencing, in the same places as before? A full genomic-sequence analysis might be prohibitively expensive for every possible “control” set of conditions. Yet it would be relatively easy to check 6-12 “novel” mutations by PCR and sequencing, after applying various treatments which might eliminate damaged DNA bases, then ask whether the same “novel” mutations are still observed in the same places? 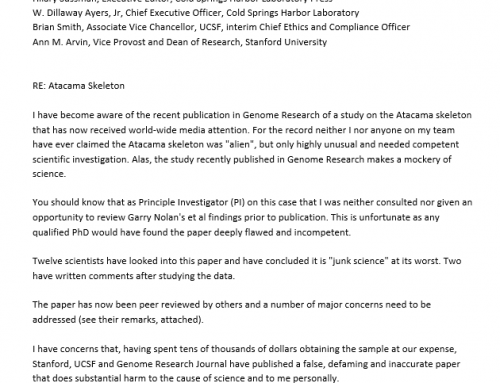 Why were such important controls not asked for by the editor or referees of Genome Research? In summary, how do we know that such “novel” mutations are real, and due to genetic changes while that small mummy was still alive, instead of environmental damage after the organism died, and was exposed to harsh conditions for >100 years in the Chilean desert? We seemingly do not. 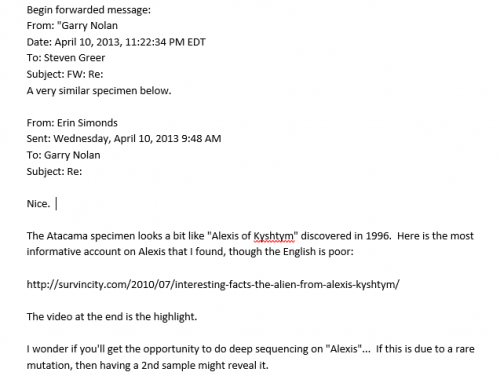 Bioinformatics: how did they reach their unusual medical conclusion of a new “alien baby syndrome”? Only 64 coding-region mutations out of millions were first predicted to be “deleterious”. Yet any single mutation in a coding region which changes an amino-acid can be “deleterious”, for example in sickle-cell anaemia. Next a majority of those “chosen” 64 coding-region mutations were found to be located in “bone-associated genes”. While a modern Peruvian woman shows none there (0 of 64)? And such “novel” mutations were not found in current human databases? If those were real “genetic mutations”, made while the mummy was alive, this result would require some kind of chemical mutagen which miraculously “targets” 7 bone-associated genes among 30,000 genes elsewhere in the genome. What might they say to further explain such unprecedented findings? Now they say that multiple mutations were not apparently targeted to 7 bone-associated genes, as suggested before, but were due purely to random chance. How can we reconcile this logic with their earlier bioinformatics conclusions? Three possible hypotheses: age-related artefacts, an entirely new medical disease, or past interbreeding with an unknown humanoid? 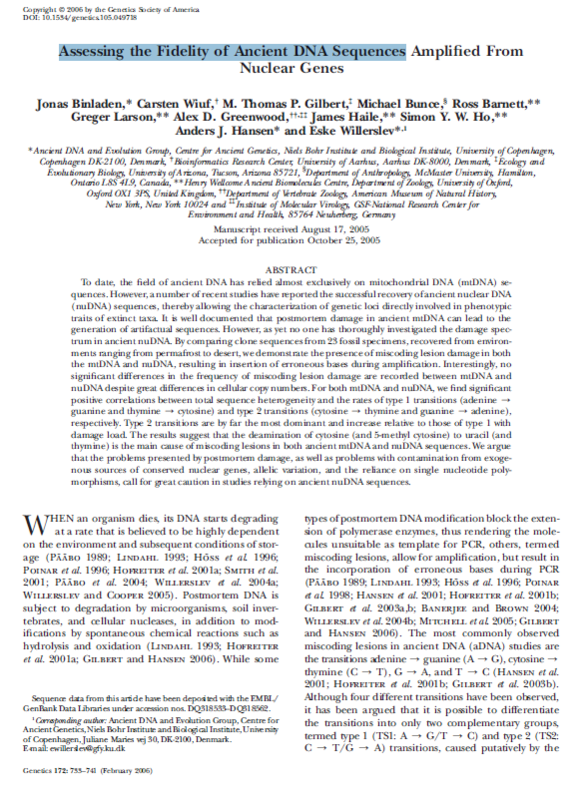 In order for the putative results of this study to be true, the authors would have had to identified an entirely new disease-causing syndrome, not previously known to medical science, which mysteriously (and for no known reason) caused an entire linked collection of bone-development genes within a human foetus to all mutate at the same time, thereby causing a normal Chilean mother to have an aborted baby which “looks like an alien”. This concept seems somewhat akin to what happens when a normal man turns into a bone-mutated monster in the “Incredible Hulk” comic books, as the result of being exposed to gamma radiation in laboratory experiments. Still respected sceptics such as Carl Sagan have said that “extraordinary clams require extraordinary evidence”. Here we see a case of “extraordinary claims” which have been based on weak or doubtful evidence, and the same sceptical logic has not been applied. If this were any other study of an aged mummy from mainstream “DNA archaeology”, it is hard to see how the paper could have been accepted in its current form. Out of the thousands of ancient mummies or bone samples studied so far, none have ever shown an entire database filled with “novel” but real genetic mutations. Again it is not impossible that such mutations could be real, because this is such a strange-looking sample. Yet to attribute all such mutations to “normal human biology” or “nitrate mutagenesis” seems unlikely. Perhaps something else may be going on here? Other workers from DNA archaeology have been reluctant to draw firm conclusions concerning long nuclear genes for this very reason. 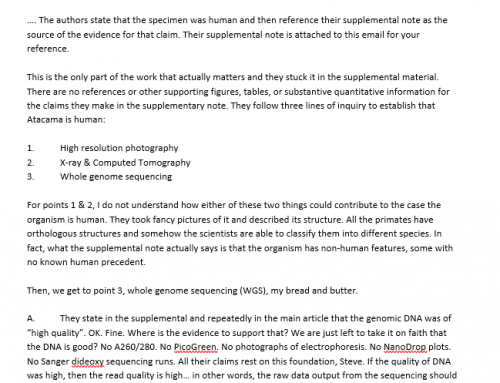 Their comments on this paper would be welcome (see for example http://www.mdpi.com/2073-4425/9/3/135 or https://www.forensicmag.com/article/2016/03/nuclear-dna-analyzed-400000-year-old-bones), even though they have not yet uncovered any new medical syndromes, but are just studying multiple-human-species ancestries. If any of the mutations reported in this small Chilean mummy matched for example Neanderthal or Denisovan nuclear genes, that would be of great interest, since some of those pseudo-human species apparently interbred with modern humans long ago (see https://en.wikipedia.org/wiki/Denisovan or https://en.wikipedia.org/wiki/Neanderthal). Might the past existence of several pseudo-human species imply that some other “unknown” humanoid species interbred with that Chilean woman, hundreds of years ago, although their hybrid offspring may not have been fully viable? I am not sure how he made this calculation, given so many caveats in the 2012 paper about different temperatures and so on? Allentoft ME, Collins M, Harker D, Haile J, Oskam CL, Hale ML, Campos PF, Samaniego JA, Gilbert MT, Willerslev E, et al. 2012. The half-life of DNA in bone: measuring decay kinetics in 158 dated fossils. Proc Biol Sci 279: 4724–4733. The key point here is that the small mummy DNA was damaged so as to cause a double-strand break on the average once every 300 bp. Typically such degraded DNA molecules also show single-stranded nicks which are held together as part of a double helix with a size range somewhat less, maybe 100-200 bases. He did not make this easy measurement from a s.s. gel! So the probability is that some organic base C, T, A or G might be damaged on approximately the same scale of size <300 bases. Damaging a base does not always break a sugar-phosphate chain, unless the sample is heated to 90 C at high pH for a while, or unless you add an enzyme UNG which cuts at the damaged base, so that it will not amplify by PCR. The obvious control which most people do is to add UNG and see what happens? Does your DNA get shorter as a whole, because it has some damaged C bases? That is another thing which Nolan and colleagues did not do. If they simply had added UNG enzyme for 30 minutes at 37 C, and the single-stranded form of that sample got shorter, then the whole paper becomes worthless as an artefact! I did not wish to be so direct and insulting in a formal set of comments. A one-hour cheap experiment to assess whether your sequence results might be faulty due to age-damaged C bases. If on the other hand, those “novel” sequences somehow turn out to be “real”, then there are other bioinformatics methods to identify “new genes” which he also did not use. You can check to see whether such mutations are random or directed in the Genetic Code, by whether they change an amino acid? Random mutations only change an amino acid 1/3 of the time, while directed mutations (say from an alien gene) might change amino acids 100% of the time. So if all of the changes in some particular gene change various amino acids, then it is not random. If only 1/3 of them change an amino acid, it is random. 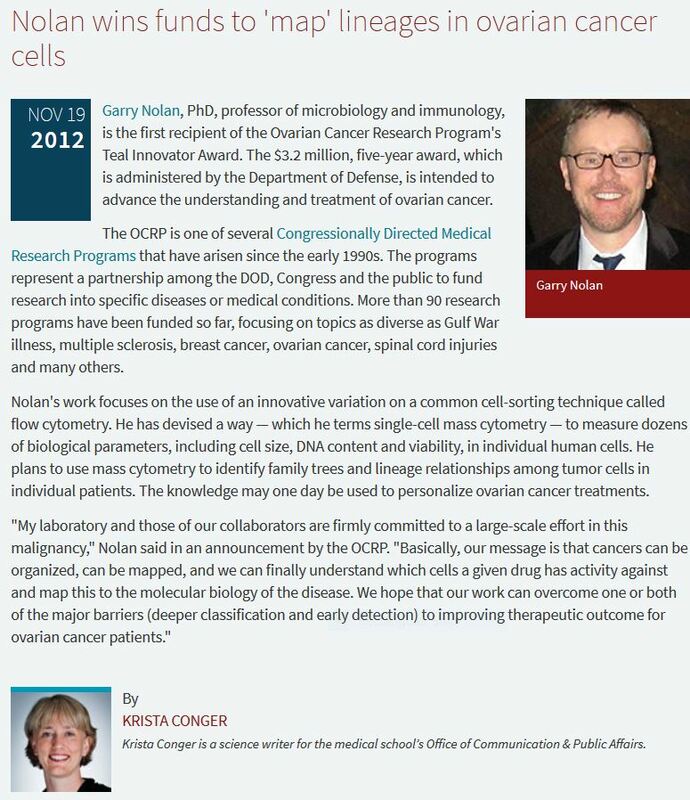 Once again, the credibility of that mummy article among professional molecular biologists is very low, because: (1) it sat out in the desert for >100 years, and (2) it shows lots of “novel” mutations not found in medical databases, which are therefore probably artefactual. They may not think the mummy is “alien”, but they suspect that the paper is “wrong”. 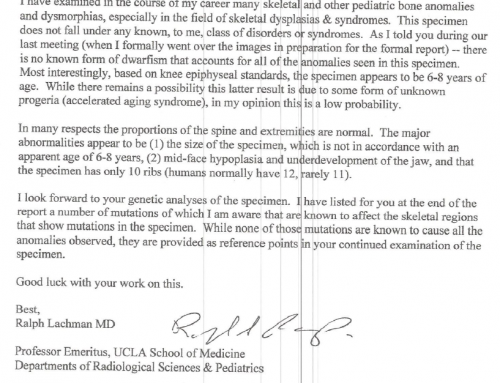 Interestingly from a medical point of view, most of those critical mutations which Nolan cites seem to be heterozygous, or present on 1 chromosomal copy only (listed in his Supplemental Tables), which would be unusual for real mutations of developmental significance. 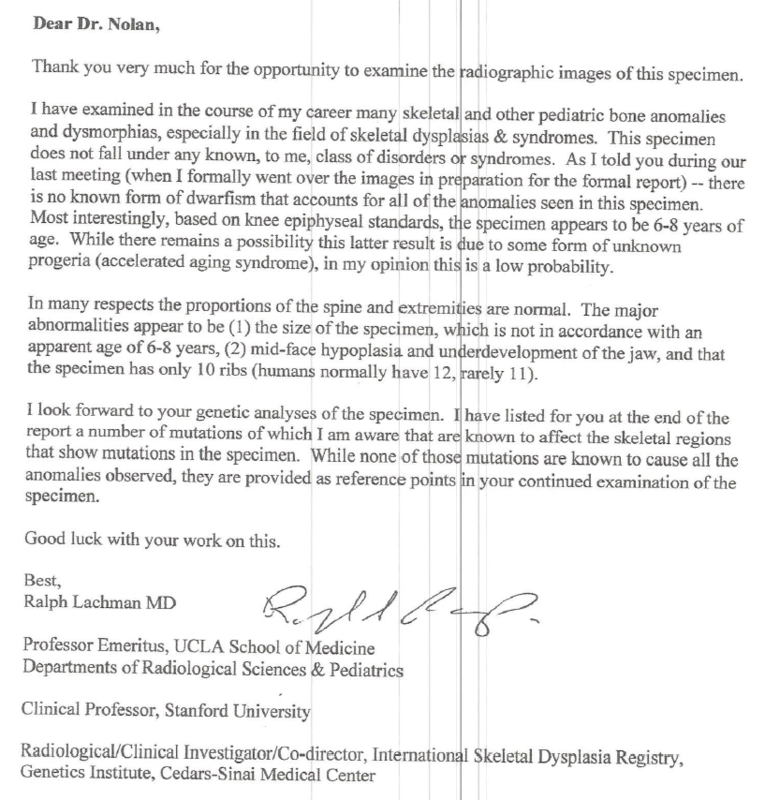 Finally here is a technical note which you might not wish to read in detail, quite long and boring, but which can refute anyone who says that Dr. Nolan used a computer program to “prove” there was no DNA damage? Appendix 1. An indirect computer model of DNA damage was used by the Chilean mummy researchers: what is it really telling us? The researchers who did full-genome sequencing on this small Chilean mummy used an indirect, statistical approach to estimate damage to the DNA bases in their 300 bp, partly-degraded sample: namely a computer program called “mapDamage2.0”. This program measures variations of base sequence, away from mean values, near the two ends of any 101 bp sequence-read. Such variations come about partly because damaged (or deaminated) cytosine C bases may become converted to thymine T by polymerase-reading errors. One or more C-to-T transitions near the end of a PCR product may reduce its efficiency of ligating to a synthetic linker used later in sequencing, if that double-helical end becomes too AT-rich. We can see typically an excess of false C-to-T transitions near any 5’ end, and false G-to-A transitions near any 3’ end (see their Figure S1, lower part). The researchers of that small Chilean mummy did try to exclude some artefactual biases due to DNA damage from their final sequenced database, close to the two ends of any 101 bp sequence-read. Thus they “trimmed off” non-random sequence biases there of about 2% on each end. The program “mapDamage2.0” also suggested, for their final sequenced database, statistical estimates of C deamination as 2% near the ends of any 101 bp sequence-read, or 1% near their centres (meaning 1 altered base in every 50 or 100 bp respectively). This program offers a fine way for researchers of ancient DNA to estimate approximately how “damaged” their DNA samples might be, by looking for artefactual biases of sequence away from random in large datasets. It also helps researchers to “trim away” some obvious sequencing artefacts near each end of any 101 bp product. Yet the slow, age-related deamination of C bases in ancient DNA may come about in two ways. Firstly because each end of a 300 bp mummy DNA fragment may have extended or frayed into a single-stranded form, which makes C bases there more exposed to damage. Secondly, because other internal parts of a 300 bp mummy fragment may have become chemically damaged in some way. Even if we sequence some particular DNA strand 10 times over in excess, and trim away the two ends of wherever that 101 bp sequence might begin or end, still certain sequence errors will take place when deaminated C is copied to T in PCR, no matter where that might happen. The damaged base deaminated-C will be “read” by the polymerase as “U”. There is no way to avoid this, except by treating the original genomic sample with an enzyme such as UNG before PCR and sequencing. You cannot remove DNA base damage by “trimming”. The very process of breaking down a long DNA double helix into small fragments of mean size 300 bp involves chemical damage to its A or G bases (called “depurination”). So we can be fairly sure that significant chemical damage to the DNA bases has taken place within this small Chilean mummy, which lay exposed in the desert for 100-500 years! Both to its A or G bases (“depurination”) and also to its C bases (“deamination”). Why not measure such patterns of chemical damage directly to find out for sure? As opposed to all of these indirect measures, one could simply label the 5’ or 3’ ends of those 300 bp mummy DNA fragments with a fluorescent or radioactive marker, treat the labelled sample with an enzyme UNG, high heat, or other strand-breaking-at-damaged-base conditions, then look by gel or capillary electrophoresis to see whether the mean single-stranded length of that mummy sample was reduced? Such a quick and easy experiment would provide a direct measure of whether those 300 bp mummy DNA fragments were significantly damaged by C deamination. Yet no experiment of this kind was reported, despite many “novel” mutations being found in their final sequenced database, and being given great significance by bioinformatics strategies. Seguin-Orlando et al., “Ligation bias in Illumina Next-Generation Libraries: implications for sequencing ancient genomes”, PLoS ONE 8 (10), e78575, 2013. I knew Crick and met him several times to discuss DNA research in private. My wife and I had dinner with Watson in about 1986, and discussed a job at Cold Spring Harbour. Those guys would not tolerate fake science of any kind. I also knew Max Delbruck, Watson’s mentor at Caltech, and worked for many years in the same lab with Max Perutz, who was Watson and Crick’s lab advisor (along with Sir Lawrence Bragg). 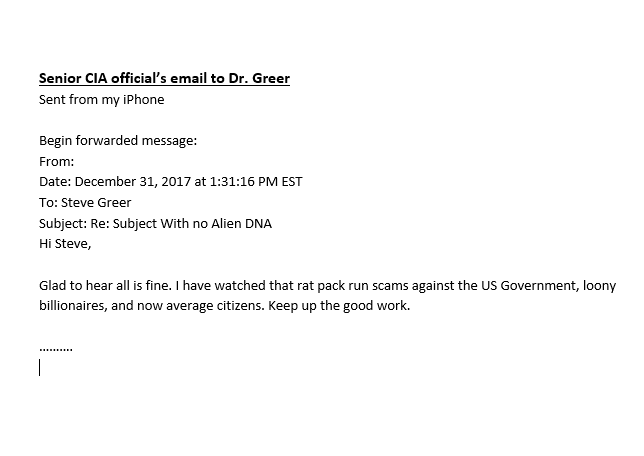 Let me please assure you that none of those great scientists would accept fraud or fakery of any kind.